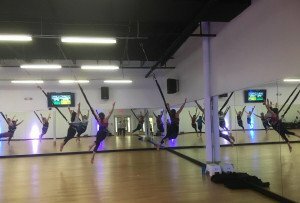 18 Valentine's Day classes in the city and the 'burbs. By Daniel Lopez·	 2/2/2016, 10:30 a.m. Trying to think of a great Valentine’s Day gift for that special someone? Here’s a pro tip (please note I use the term “pro” loosely): Skip the cliché gifts (ahem, chocolate) and treat them to a Valentine’s yoga class. You’ll get to spend some quality time with your partner — and some of these classes will even teach you how to give a proper Thai massage, a gift that keeps on giving! Below, our Valentine’s Day gift to you: 18 Valentine’s Day yoga classes in both the city and the ‘burbs. And if Cupid’s arrow has missed you recently – his aim can be questionable at times — don’t worry, there are some classes on the list for you, too. Where: Amrita Yoga and Wellness, 1204 Frankford Avenue, Fishtown. What: Valentine’s Day Couples Yoga // The goal of this class is to get you and your partner closer than ever by syncing your minds and bodies. Bonus: The class is capped off by guided Thai massage to relieve tension and stiffness. When: February 13th and 14th at 8 p.m. Cost: $50 per person; pre-registration is mandatory. 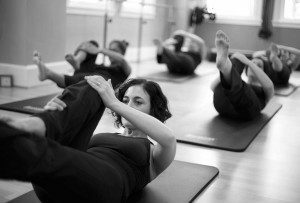 Where: Focus Barre and Yoga, 1923 Chestnut Street, 2nd floor, Rittenhouse. What: Special Valentine’s Day Yoga Class // All levels are welcome to this fun and funky flow class, and it’s not just for couples: BFF dates are welcome, too. When: February 13th from 10 to 11:15 a.m.
Where: Magu Yoga, 6825 Germantown Avenue, Germantown. What: Love Yourself Up & Down // This two-hour class, led by Kula Yoga Project’s Erin Dudley, is all about self-care — the perfect way to relax your body and mind. When: February 14th from 2 to 4 p.m.
Where: Maha Yoga Studio, 1700 Sansom Street, 6th floor, Rittenhouse. What: Valentine’s Partner Yoga and Thai Massage // Build trust and deepen your connection with your partner with this yoga and Thai massage experience. When: February 13th from 1:30 to 3:30 p.m.
Where: Mama’s Wellness Joint, 1100 Pine Street, Washington Square West. What: Let Love In: A Heart Opening Workshop // This workshop is all about back-bending and opening your heart, naturally. When: February 13th from 2:15 to 4:15 p.m. Cost: $30 per person before February 6th, $35 after. What: Valentine’s Partner Yoga & Thai Massage Workshop // Connect with a loved one by smiling, laughing, stretching and massaging in yoga class. You can expect restorative poses, rhythmic flowing vinyasa movements and guided Thai massage techniques. When: February 14th from 3:30 to 5:30 p.m. Cost: $50 per couple before February 7th, $60 after. What: HEART BURN Flow // This class — which promises to make you sweat, fly, laugh and maybe cry – is all about sweating out the old and making room for the new. When: February 14th from 1 to 3 p.m.
Where: Mellow Massage and Yoga, 4023 Ridge Avenue, East Falls. What: Valentine’s Day Couples Yoga // This two-hour couples yoga class provides an intimate experience with gentle stretching, connected breathing, guided meditation and assisted partner yoga poses. Where: Philly Power Yoga & Thrive Pilates, 2016 Walnut Street, Rittenhouse. What: Candlelight Yin Yoga // Time to let the love flow with this two hour candlelight yin yoga class. Bring a Valentine, loved one or just yourself to this guided meditation focused on self-care and self-love. When: February 14th from 1:30 to 3:30 p.m.
Where: The Yoga Garden, 903 South Street, Bella Vista. What: Valentine’s Day Couples Partner Yoga Workshop // Led by yogi couple Brittany Policastro and Nick Antony, this special couples yoga workshop is designed to help you have fun with your special someone through yoga and massage techniques. To make the deal even sweeter (pun totally intended), you get free chocolate at the end of class. When: February 14th from 2 to 5 p.m.
Where: Three Queens Yoga, 410 Monroe Street, Queen Village. What: Valentine’s Partner Yoga and Thai Massage // Build trust and connect with your partner while learning the healing methods of yoga and Thai massage. When: February 14th from 5:30 to 7:30 p.m.
Where: Wake up Yoga, 1839 East Passyunk Avenue, South Philly. What: Valentine’s Day Partner Thai Yoga Massage Workshop // This class teaches you at least one Thai massage technique for each area of the body. Just be warned: You will be on the hook for giving your significant other the best massages ever from here on out. When: February 13th 2 to 5 p.m.
Where: Dhyana Yoga, 53 Kings Highway East, Haddonfield. What: Valentine’s Day Partner Yoga // Support your partner this Valentine’s Day by aligning your bodies and creating balance in this playful flow class. When: February 14th from 12 to 2 p.m.
What: F**k You Valentine’s Day! // Valentine’s Day’s theme of love and presents doesn’t resonate with everyone. If you’re in that camp, give the day a metaphorical middle finger in this class set to sad love songs. They’ll even send you on your way with a complimentary bottle of wine. Yelling and crying is encouraged. When: February 14th from 3 to 5 p.m. Cost: $20 until February 7th, $25 after. Where: Hummingbird Healing Yoga & Massage, 2606 County Line Road, Ardmore. What: Valentine’s Day Heart Centered Workshop // This uplifting gentle yoga class is designed to help you open your heart and indulge in personal reflection. When: February 14th from 11 a.m. to 12:30 p.m.
Where: The TreeHouse, 419 South York Road, New Hope. What: Partner Yoga // Prepare to get up close and personal with your S.O. in this class that focuses on partner poses. When: February 13th from 1:30 to 3 p.m.
Where: Yoga Home, 424 East Elm Street, Conshohocken. What: Valentine’s Weekend: Partner Thai Bodywork // In this class, you’ll learn how to use your elbows, knees and feet to give a great Thai massage. When: February 12th from 7:30 to 9:30 p.m.
Where: Yogasphere, 883 Bustleton Pike, Richboro. What: Manifest Self Love: Heart Opening Hot Yoga Workshop // This tough hot yoga class centers around opening your heart through mantra, pranayama and heart-opening poses. Cost: $25 per person until February 7th, $30 after.